John Gould (1804 - 1881) was both a zoologist and an ornithologist and is renowned for his large-scale, lavishly illustrated volumes of birds. 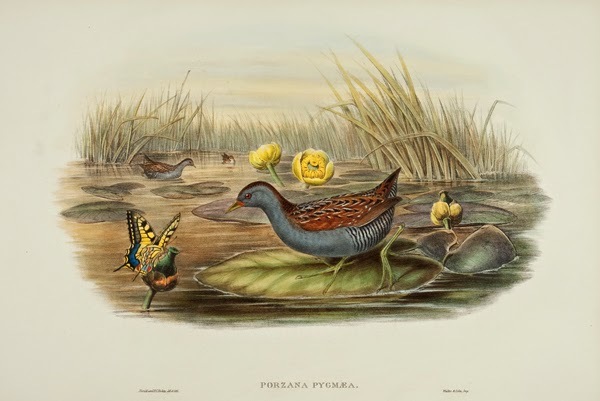 He was in his twenties when his first work, ‘A Century of Birds from the Himalaya Mountains’ was first issued (1830-32) and he continued publishing without a break until his death in 1881. 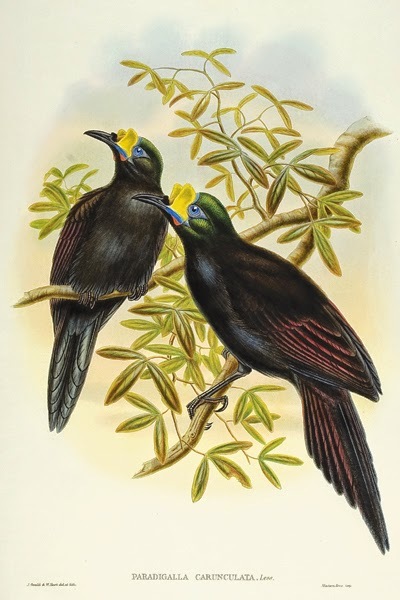 In fact, his very last book, the ‘Birds of Paradise’, was published posthumously (1891-98). He produced the illustrated plates with the assistance of his wife Elizabeth Gould and collaborated with several other artists including Edward Lear, Joseph Wolf, William Hart and Henry Constantine Richter. Gould was prolific, but demanded a high standard of work, not only from the various artists working on the books, but also in the science. Minutely examining each bird, he noted differences and similarities previously unrecorded and some of the species ‘found’ in this way were even named after himself and his family. He corresponded with established zoologists and ornithologists as well, adding their knowledge to his and vice-versa and no doubt this contributed to his election as a Fellow of the Royal Society. This level of accuracy was not only limited to birds, as we can see in many of the humming-bird plates, the beautiful and closely examined flowers and plants are accurate enough to identify. John Gould's humming-bird plates also depict detailed and accurate flowers and plants. 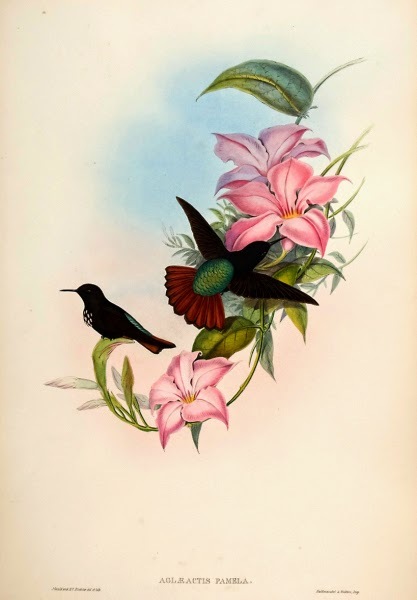 The humming-bird plates are considered the brightest & most decorative of Gould's prints. 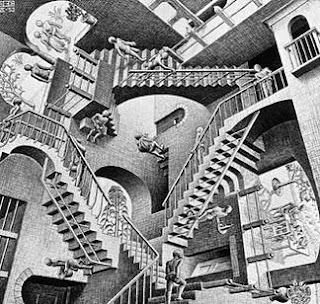 The style of Gould’s work changed over the years, along with the other artists involved. He often drew the preparatory sketch from which the watercolour and then the lithograph were made, but occasionally one artist did the whole process, Edward Lear for example or William Hart. John Gould, his wife Elizabeth and Edward Lear worked together on the early books, until Elizabeth died and Gould and Lear fell out. It was at this time that Richter and Hart began to work with Gould, as they were both already established natural history artists. Later on, the publisher of ‘Birds of Paradise’ Bowdler Sharpe also became involved. Gould collaborated with a number of other artists, most notably Edward Lear. The earlier works, the ‘Birds of Europe’, ‘Birds of Australia’, ‘American Partridges’, and the first edition of the monographs on Trogons and Toucans are quite different in style from the later ones, concentrating the image on the bird itself and leaving the background rather sketch-like. The drawings of the birds in these earlier works are also sketch-like, displaying the qualities of lithography to the full. 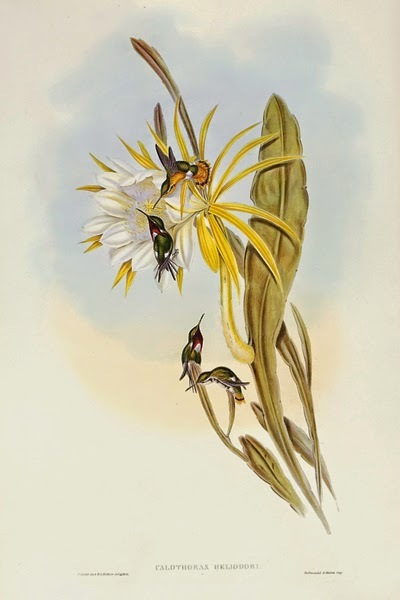 By the time Gould was publishing the monograph on humming-birds, the whole image was much more like a painting, with more realistic backgrounds (showing the plants that the individual species ate and how they ate them) and a less painterly effect on the actual birds. In an attempt to accurately show the colours of the birds, Gould combined innovative printing techniques with a heavy use of colour. The use of complete backgrounds is particularly evident in the ‘Birds of Great Britain’ which is recognised as Gould’s most ambitious work, both in the number of birds depicted and the size of the edition. Birds of Great Britain is considered Gould's most ambitious work. John Gould masterminded one of the most outstanding bodies of work ever produced in the field of ornithology. Following his death in 1881, Henry Sotheran Limited who were already involved in publishing some of Gould's later works, bought his entire estate which included a number of black and white lithographs with the pattern plates used for the hand-colouring. 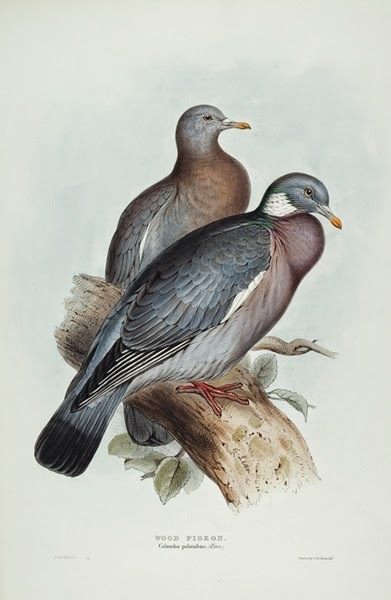 This put Henry Sotheran in the unique position of carrying on the hand-colouring of the original 19th century lithographs according to Gould's exacting standards. These later hand-coloured plates sell for around half the price of the original colour equivalents. Well over a century after Henry Sotheran's felicitous acquisition, we remain the world's leading dealers in Gould's magnificent original hand-coloured lithographs.